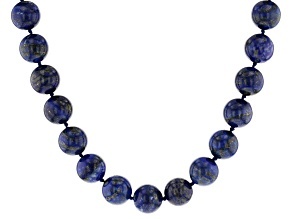 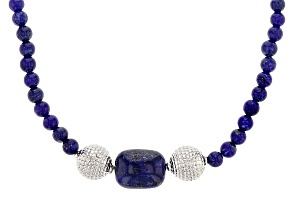 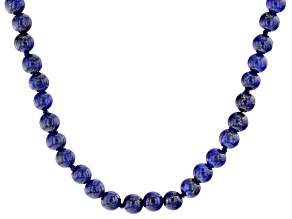 Blue Lapis Bead Sterling Silver Necklace. 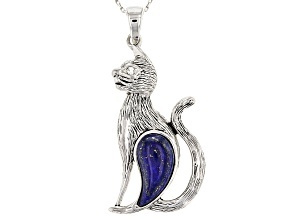 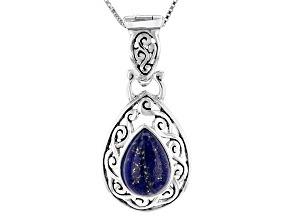 Lapis lazuli has been prized since antiquity for its intense color, and JTV has a wide selection of lapis lazuli necklaces for you to choose from. 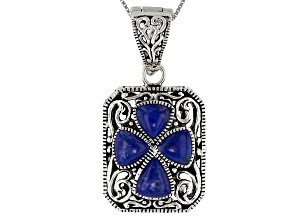 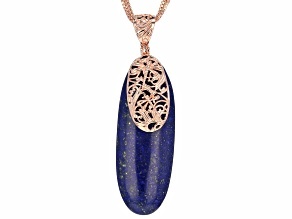 Whether you're seeing a beaded strand lapis necklace or a necklace featuring a pendant, JTV has something for you. 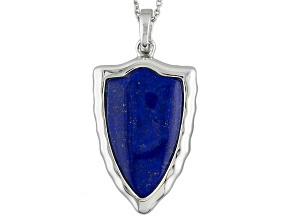 The stunning blue shade of lapis lazuli is the perfect color to help you remain calm and collected, but it will also help you stand out in a crowd. 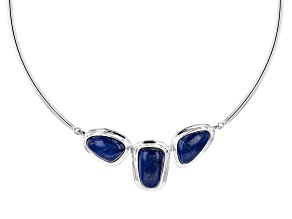 Give the gift of a lapis lazuli necklace to inspire calm in a friend or loved one, too. 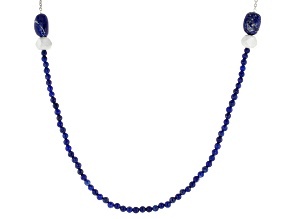 These lapis lazuli necklaces are perfect for any occasion. 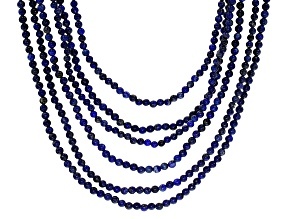 Some of these lapis necklaces make quite the statement, like a three necklace set featuring lapis, rose quartz and green onyx. 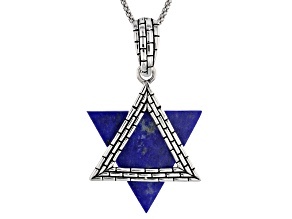 You may want to try out the Artisan Collection of Israel™ for an abstract lapis necklace that will be sure to turn heads. 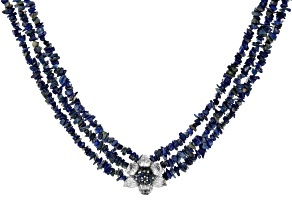 The tantalizing shade of deep blue in these fabulous necklaces glisten and gleam like rolling ocean waves. 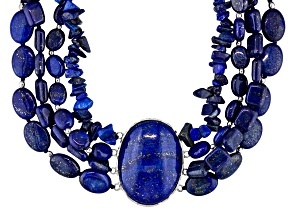 If you are going on vacation near the water, complement your beach outfit with one of these gorgeous lapis lazuli necklaces. 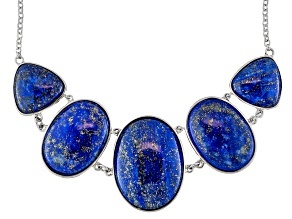 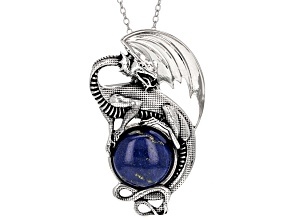 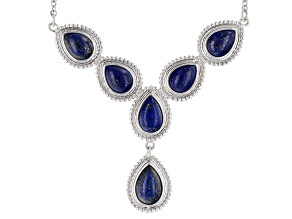 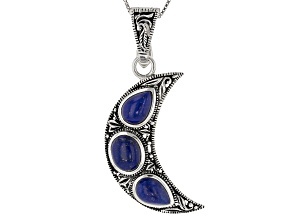 If you love the rich blue of these necklaces, be sure to explore other lapis lazuli jewelry from JTV, too. 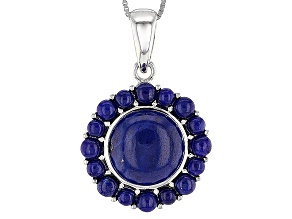 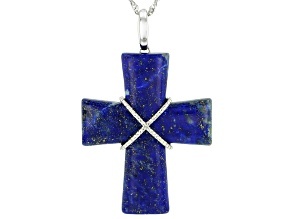 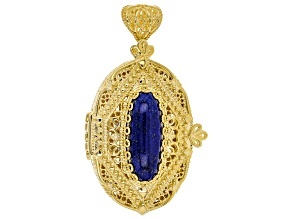 Lapis makes a great gift for any occasion, such as birthdays, anniversaries, graduation and more. 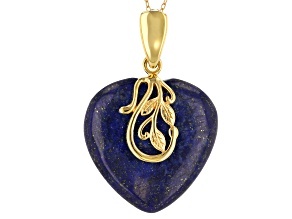 Give her some lapis earrings or a lapis bracelet to show how much you care. 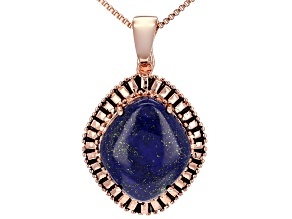 For other striking blue jewelry, explore JTV's collection of larimar necklaces. 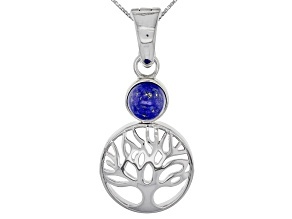 With JTV's great prices, you will be able to shop for a little bit of everything, including gorgeous gifts for friends and family as well as pretty jewelry treats for yourself.